Agave syrup, coconut flower syrup or other. 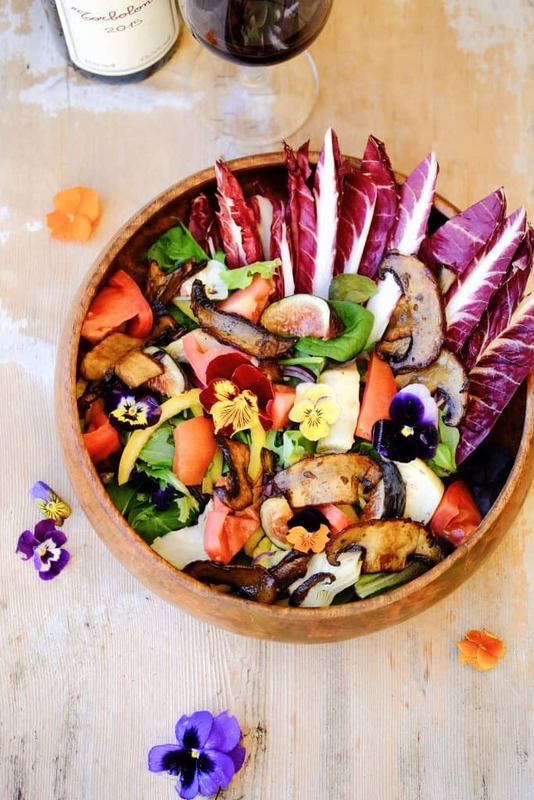 Slowly the season for colorful lushious salads is over. We have created this dish a few weeks ago to be honest. 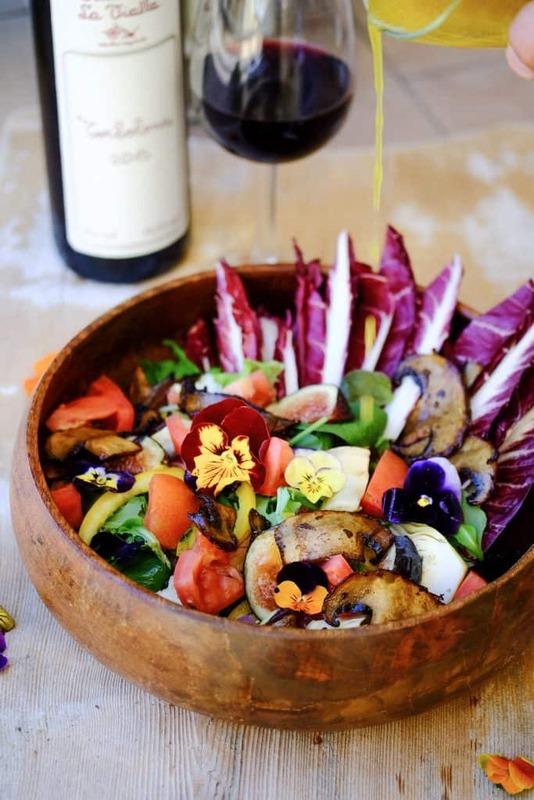 Other then the salad and the edible flowers – The mushroom bacon is always in season. So looking forward to create an edible flower recipe so you can grw them yourself and make yur dishes look like a fairy tale. 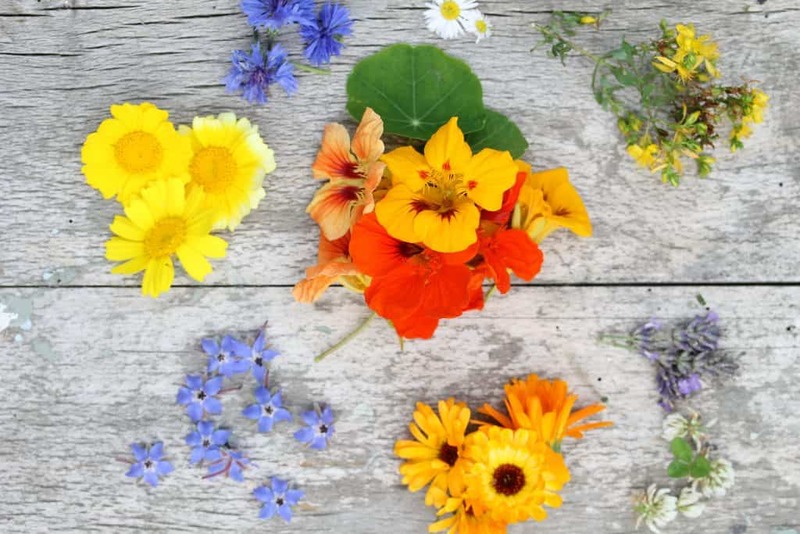 Are you interested into an edible flower special ? We are always up to experiment with all different kinds of vegan alternatives. So also check out our cassava bacon recipe here. Compared to the Portpbello bacon, the cassava version was by far more crispy which was mostly due to the fact that it was fried. 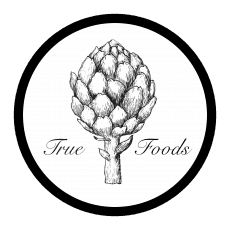 Nevertheless, we also are looking forward to make some eggplant as well as parsnip and ricepaper bacon and give you our opinion. 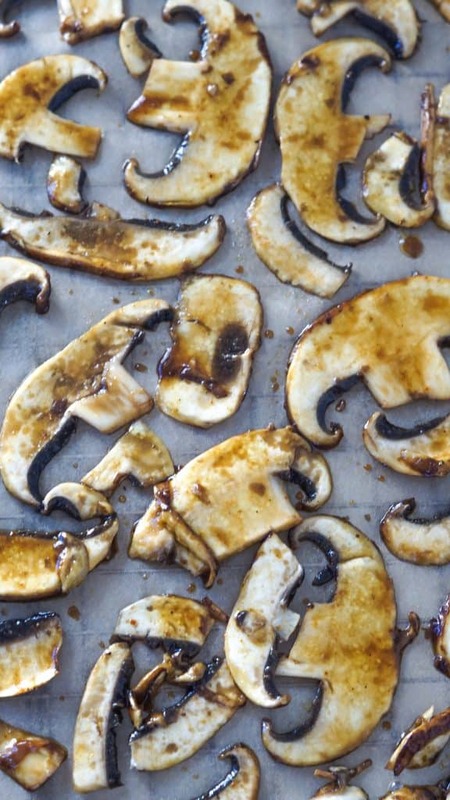 Start with cutting the Mushrooms into really thin slices. Either with the knive or the mandoline. In a bowl, mix the oil, maple/agave/coconutblossom syrup, the liquid smoke and spices. 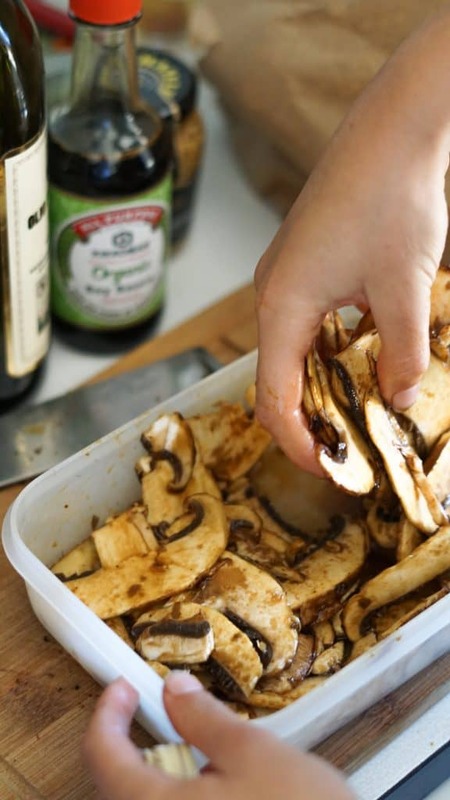 Place the mushrooms inside and carefully massage the marinate into the mushrooms. 4.Let this mixture sit for at least 30 minutes up to 1 night. 7.Preheat the oven to 180°C. 8. 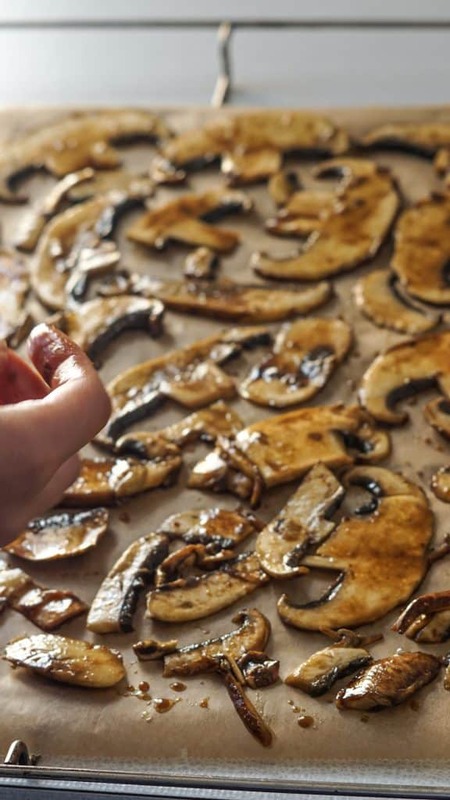 Place the mushrooms on a baking tray – take care that they do not overlap. 9.bake them for around 15 minutes. Take out the tray and turn the mushrooms to create the extra crisp. 10.Serve with loads of love.